When the world boxing super-series was first muted, fans were cautious to contain their excitement due to these types of tournaments not living up to the expectations. 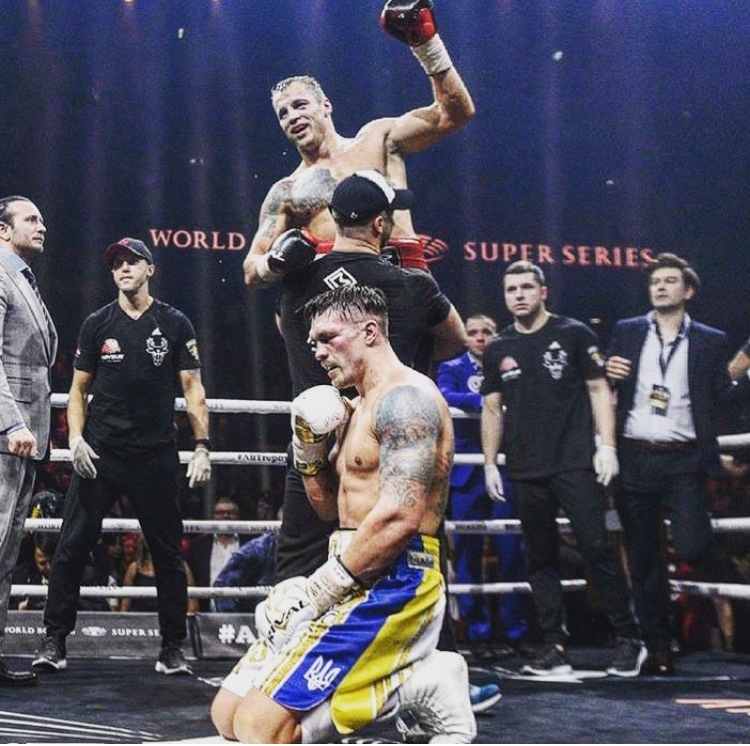 Fans can now release their bottled enthusiasm as the series has caught fire, following the stunning cruiserweight semi-final between Usyk and Briedis. With the British super-fight between George Groves and Chris Eubank Jr. just around the corner, it’s looking like the WBSS could be a significant figure in the future of boxing. Success of the two tournaments can create a demand for the WBSS across various weight divisions. Here at Boxing Science, we would be excited to be involved in such a prestigious tournament. Not for the limelight, however, but for the challenge it creates from a training and programming perspective. We’re often asked on how adapt training programs to suit a heavy competition schedule. Working with a lot of amateur boxers, we’ve become accustomed to managing training loads appropriate to competitive phases. This can become complicated and stressful for an athlete / coach to manage. Basically it comes down to doing too much will create fatigue, and doing too little will cause a reduction in fitness. Furthermore, sharp declines and spikes in training load can be detrimental to an athlete, increasing the likelihood of fatigue, overreaching and injury. We often use mini-bands with our boxers around competition, in the tapering process and in warm ups, to fire the hips up. If you’re interested in how to use these with your boxers, check out our short video discussing them. This term is given how long adaptations are maintained despite the training types withdrawal. This can either be stopped all together or a reduction in volume – which is more than likely during competition. The research suggests that the residual effects of Maximal strength training and aerobic capacity can be around 30 days. This means we need to consider how we can top up our strength and fitness levels during competition. This is something we need to avoid, and something very common in heavy competition schedules. Excessive and rapid increases in training loads can put our athletes under stress, increasing the potential for non-contact, soft-tissue injuries. With the week taper prior to competition, coaches need to manage training loads on the first week back. At Boxing Science, we have a 20% rule… meaning our training loads will not increase by no more than 20% week to week. This is how we employ progressive overload and de-loading strategies in our programming. Obviously this can’t be avoided following a tapering period. But we need to take into consideration the spike in training loads. We’ve found a 50-60% increase following competition to be safe, carefully managing the training load and frequency for the week. As we said previously, this can be a complicated and contradictory area, and nothing is clear from the research that says ‘THIS IS THE WAY TO DO IT’. Everything should be adaptable, and specific to your athletes training history and current training needs. There are different nutritional strategies to consider during this competitive period. Making weight numerous times can cause fluctuations in energy balance, metabolism and of course, body mass. Ideally, an amateur boxer would be within 3-5% of his required body mass during competition. However, after refuelling and having a ‘post-fight treat’ can leave an athlete above this threshold. Binge training paired with binge dieting is a recipe for disaster, creating huge energy imbalances that can increase the chance of fatigue, injury and overreaching. There are also there are psychological pressures and fatigue that can become a problem during competitive periods. Athletes may need a few days off, some external focus and relaxation methods between bouts. This… again.. is a MASSIVE area and we can only touch on it for now. If you’re interested in our sport psychology approach, you should watch Episode 11 of Boxing Science TV, as our very own Dr. Pete Olusoga introduces different methods on how to train the fighter’s mind.